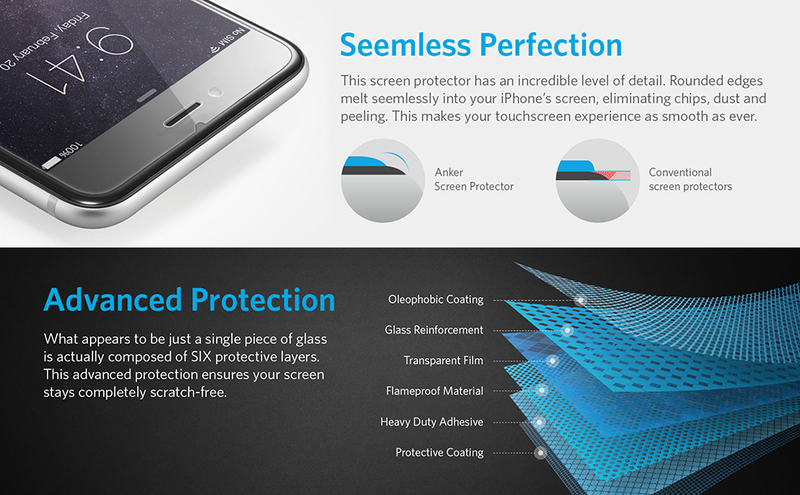 Protect your phone from knocks and scratches, every single time. With an industry-high 9H hardness (harder than a knife's blade), this protector is virtually impossible to scratch, whatever you whack against it. Precisely cut to cover the entire flat surface of your iPhone 6's screen, keeping the earpiece speaker, camera, light sensor and home button totally unobstructed. 96% transparent, paper-thin and sporting an anti-smudge coating, enjoy your iPhone's original HD retina display and high-response touch. The face of the iPhone 6 has curved edges that our screen protectors do not cover, since doing so would produce unsightly air pockets along the edges. Instead, it is designed to completely cover and protect the flat, touchscreen portion of the iPhone's screen.